What Can I say, it’s a Ferrari with 710 Horsepower. You and I both know it will be amazing! 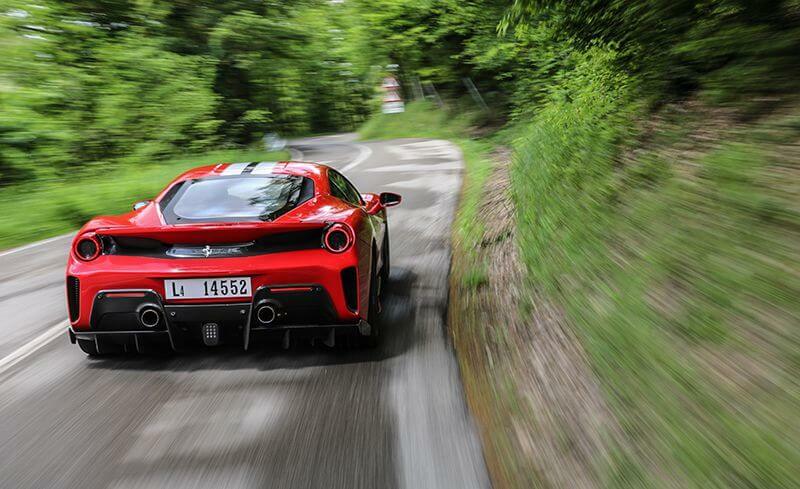 So how amazing, well Ferrari is putting a $350,000 price tag when it arrives this winter. For those who don’t speak Italian, Pista stands for “Track” which already tells you what this beast is made for. So for a quick history lesson, Ferrari started their track versions back in 2004 with the introduction of the 360 Challenger Stradale, a car so good that it made you question the meaning of life. Next, Ferrari introduced the 430 Scuderia, which in my personal opinion is one of the prettiest cars ever made. 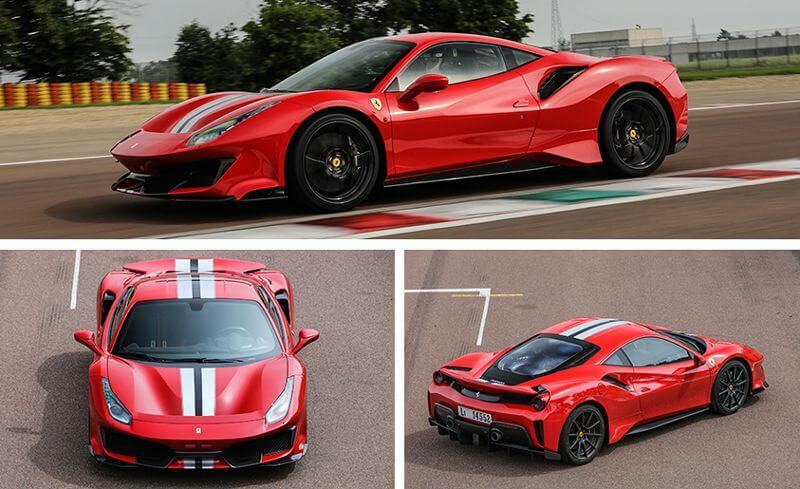 And finally, in 2014 they followed up with the 458 Speciale. 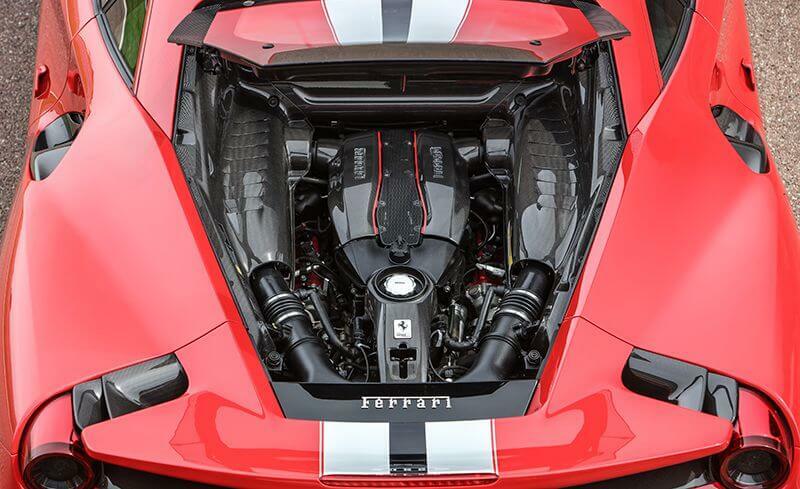 Now that the quick lesson is over, lets talk engines, the Pista shares the same engine as the 488GTB with over 50% of it being brand new. 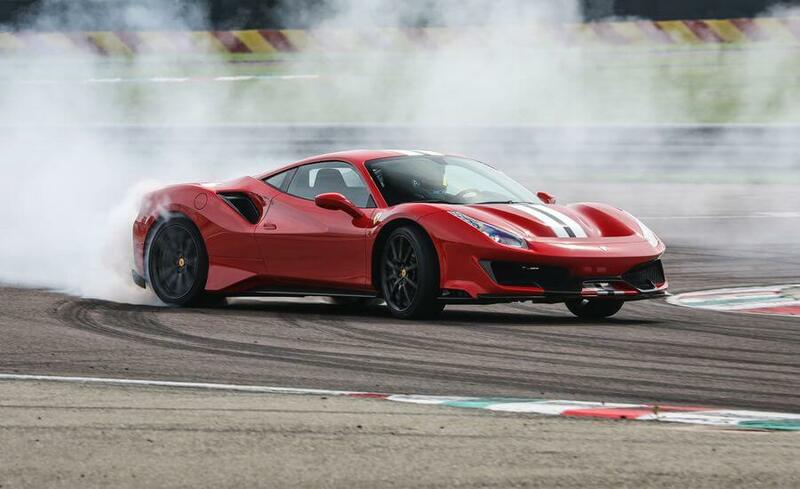 This includes a lighter crankshaft, flywheel and connection rods, more aggressive cams and a brand-new Inconel exhaust manifold that reduces backpressure and weights a whopping 21 pounds less than the 488 unit. All this lighter materials and improved design have created magical results by adding an additional 49 horsepower to this already powerful engine design. Now compare this to the V-10 Lamborghini Huracan Perfomante which produces 631 horsepower at 8000 rpm, the Pita produces 710 screaming horsepower from a V-8 engine and what is more impressive is that its achieve these at 6750 rpm and stays at that level all the way to its 8000 rpm redline. 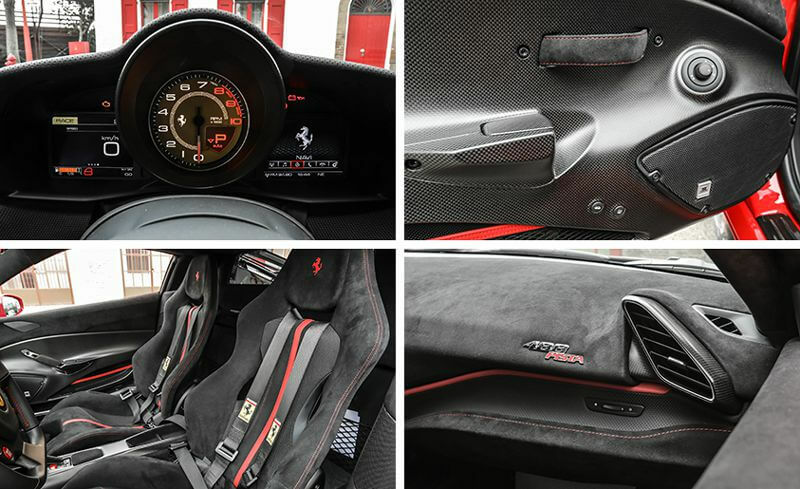 And the Ferrari engineers went one step farther (yes as if 710 horses out of a V-8 wasn’t enough) they were able to create redline shifts from 1st to 2nd to 3rd gears that never drop below 6750 rpms, ensuring you get all 710 horses throughout the entire shifting process. All this eye-watering speed typically means that the suspension will be tighter than a virgin on their wedding night, but you be surprised. The 488 springs remain comfortable even on broken pavement, as far as the seats, that’s a different story, they are hard and extremely firm. I can already imagine how this car will feel when I get a chance to drive it in the mountains of British Columbia. I will share my thoughts on that drive once the car is available in Canada.